The trailer for the much anticipated release of "Oldman's Bubishi ". 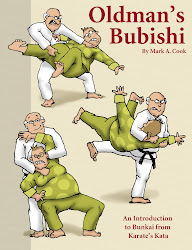 Oldman's Bubishi, is a richly illustrated introduction to the Bunkai of Karate Kata. The book by Mark "Oldman" Cook focuses on the most widely practiced kata series, the Pinan / Heian / Pyung Ahn series. Many modern Karate and Tae Kwon Do form, hyung and poomse can trace the roots of their movement to these kata created by Anko Itosu. If you have learned this kata series or their derivative modern heirs, let Oldman introduce you to the bone breaking beauty of the kata. 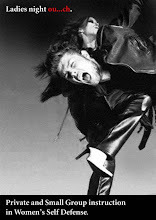 Dance class is over. It's time to put the function back into your forms. I love this book! Oldmans Bubishi includes some really interesting kata applications in a very easy to follow and engaging way. The applications are deadly serious and I found the cartoon illustrations much easier to follow that the vast majority of photo sequences I've seen. Dont make the mistake of assuming that the humorous illustrations mean the informa...tion is not for the serious martial artist! This is solid stuff! Theres no denying the illustrations are very humorous though! I found myself giggling more than once at the factual expressions of both Oldman and his unfortunate uke. I guess the best description for the book would be serious information delivered in a light-hearted way. 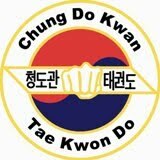 Just what good martial arts should be! 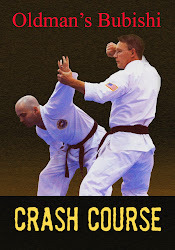 Advanced Budo" and "Cracking the Kata Code" on "Oldman's Bubishi"
" Oldmans Bubishi was fabulous. Love the illustrations and the bunkai — worthy of my own analysis (I hope that is a complement!). It is lighthearted (obviously the illustrations are intentionally cartoonish) yet clear and accurate. Presently, there are many books out on kata analysis, but yours is more simple, more clear, and more fun. Congratulations".